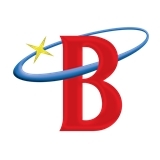 Briter Dental (Houston) - Book Appointment Online! At Briter Dental, we are committed to providing you and your family the best dental health care possible. We offer a full range of services including Family, Cosmetic, Restorative, and Preventative Dentistry, in addition to an Orthodontic Specialist to assist in meeting your dental needs. Our dental team is dedicated to giving you a customized experience based on your dental health and goals. We put an emphasis on our patients' comfort and truly care about making your dental visit a relaxed experience. We look forward to creating beautiful smiles for a 'briter' you! They were wonderful. As soon as I got there they brought me to the back and gave me something for my pain. It was my first visit and I'm glad I came here.